The end of tenancy cleaning is a very responsible task, and if your proprietor is not satisfied with the cleaning you have provided at the end of your tenancy, that might cost you your deposit. Cleaners Battersea is here to make sure none of this happens by offering you a thorough and effective cleaning on the entire property. We are trained professionals with plenty of experience in the area and we guarantee you the spectacular and clean look of the property. We are stationed in Battersea and we are available for hire any day of the week. In order to satisfy our customers’ in freely choosing the date of the cleaning appointment we work on weekends and bank holidays too. While you on and about enjoying a time with family or friends we will cleaning your property and making sure every surface receives the appropriate treatment. The burden of moving out is real and we recommend you our service to take some of that burden away. By completely relieving you off the cleaning duties we grant you the opportunity to take care of more urgent matters, leave all the cleaning chores to the real professionals and we will make sure your expectations and requirements are met and even exceeded. 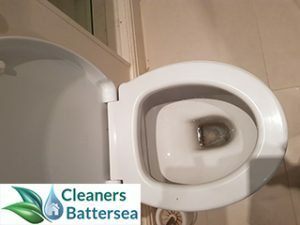 Cleaners Battersea will earn your deposit back! That is for sure. Our cleaners are extremely well-prepared for all unexpected surprises. The effective equipment put aside, they possess rich knowledge and a lot of experience. 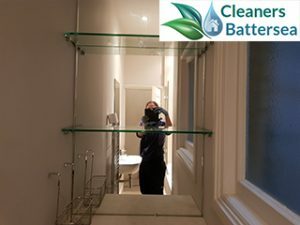 They have treated and handled dirt and dust on many and different levels, cleaning your rental property won’t be a problem- we guarantee you the detailed cleansing of the premise using effective, yet organic and complete harmless, cleaning materials and mixtures. Before joining our diligent cleaning teams our employees are trained in the ways of cleaning and providing splendid results without harming the surface. They are no strangers to chemically-influenced cleaners and their effect on the surface materials and avoid their use. To make sure everything goes smoothly with the cleaning process we apply a completely organic treatment, which is just as effective in removing stubborn dirt spots and stains of various origin. Clean dishwasher, fridge, oven, microwave, toaster, etc. Once you call our offices in Battersea, or come straight to us on the listed address, and schedule your end of tenancy cleaning with Cleaners Battersea, we become responsible for the cleaning of your property. We are punctual and very diligent and we will make sure you experience a memorable service! Where our hands can’t reach our equipment can! We have utilized the best cleaning equipment. It most often comes in handy when deep-cleaning carpets and furniture, but we also have specialized cleaning tools for almost any cleaning job. From removing limescale to polishing off gentle surfaces we are confident in our stuff and the new shouts of technology to transform any surface by eliminating the dirt off it. Here are some of the places and methods which will be covered and applied during the cleaning process. Customers are free to request a more thorough cleaning of a certain area or add to the list. All surfaces including the floor, shelves, cupboards, wardrobes, nightstands, desks, tables will experience an appropriate cleaning followed by disinfection and spraying for aroma. Areas like the kitchen and the appliances in it will cleaned and made shiny. 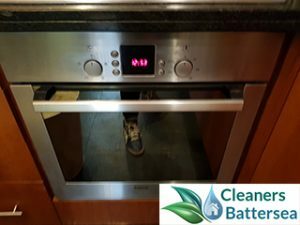 We remove oil and burnt stains off ovens, heaters, etc. Cleaning the bedding area including the mattress are optional.